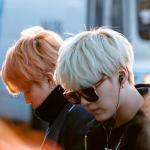 @marie67: I've been trying to Google even just a synopsis of the manhwa but I couldn't find anything on it. Maybe because it's quite old. I hope someone here in the forums has read it and will share some details with us. @Starlitelet: I agree--the writer should really be praised for taking risks. There's a danger that people will just hate the character and not care what happens anymore, but they've managed to give Kang-to something that at least makes us look forward to some sort of redemption. 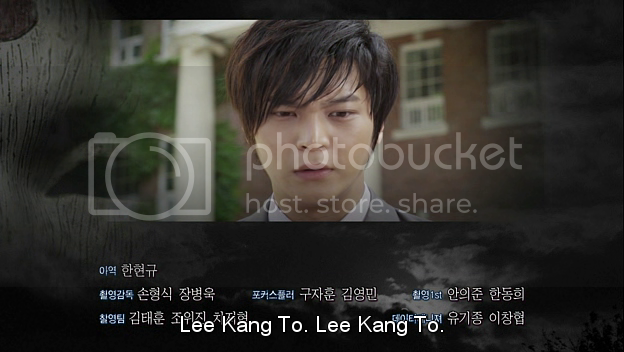 I think Joo Won also deserves credit for making the Kang-to character work so well. He's convincing when he's vulnerable, and he's also convincing when he's angry and violent. That's difficult to pull off, I think. 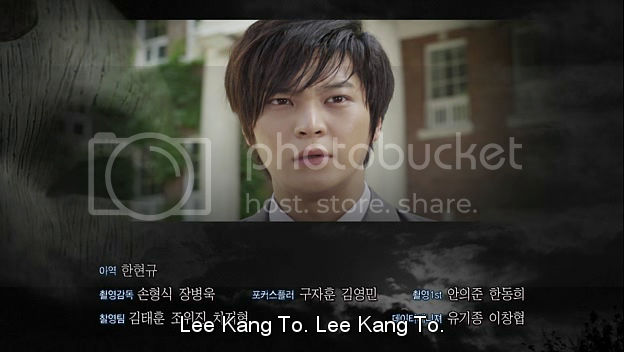 There was a discussion in the Dramabeans recap comments about who can portray Kang-to better than Joo Won. I can't immediately think of someone who can successfully walk that thin line among the actors in Joo Won's age range. (But, disclaimer: I'm new to KDramas, and maybe there's a lesser known actor out there I haven't seen yet who may be perfect for the role.) Many actors can do vulnerable or romantic really well, but the kind of almost sadistic rage we see in Kang-to when he tortures people or when he's angry is not easy to portray. I agree that Joo Won over-acts a bit sometimes, but overall, I think he balances all the layers of Kang-to's character very well. Plus his dedication to the role and his willingness to take a risk to portray it considering other actors have refused the role out of fear of some backlash in Japan is also significant. I'm loving the idea of the countess playing for the other side. I hadn't noticed it, but now that you point it out, it's a fascinating correlation. I tried to look for the original manga, but couldn't find it. I sent an email to my cousin, so I'm crossing my fingers in hopes that he can get it!!! greetings. i LOVE this drama. and i love joo won. can't wait for ep 5! just thought i'd drop by to share the love. It little sad seeing MD get shot by KT. 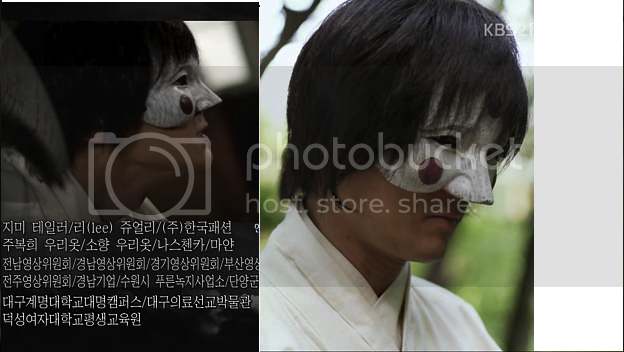 As we know, Bridal Mask had difficulty to find its cast because many actors and actresses were hesitant to play as the drama centers on anti Japanese occupation during 1930s. 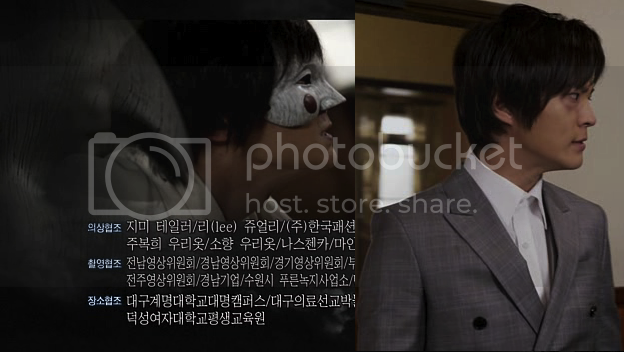 That’s probably the reason why Bridal Mask cast a relatively new face Jin Se Yun to play the leading lady, Mok Dan. And it’s like a cinderella story for 19-year-old rookie actress Jin Se Yun to grab the main role of a such big budget drama. 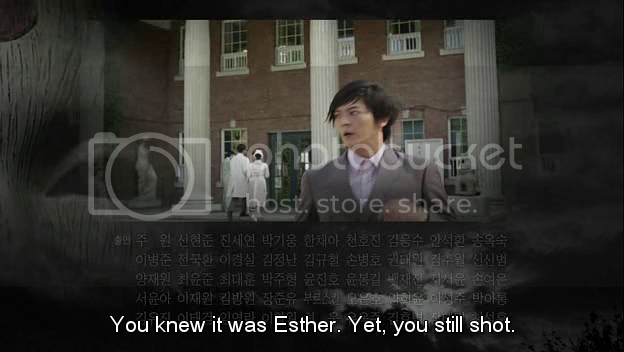 When Bridal Mask aired, many viewers still didn’t know who’s the girl who play the brave Mok Dan. Although Jin Se Yun already played the leading lady for SBS daily night drama, My Daughter Kkotnim, but she’s not an A-list actress. In the recent interview with Newsen, Jin Se Yun said that she was surprised and stunned when she heard she got the role. She said ,”When I met the producers, I was still in the middle of shooting SBS’ My Daughter Kkotnim. Therefore I wasn’t expecting to much. I was overwhelmed when I was chosen as the main character of the previous project (My Daughter Kkotnim), but lead role of Bridal Mask really caught me off guard so I was stunned”. The character of Mok Dan, a brave girl who works in a circus requires high skills in acting and action, that’s why Jin Se Yun was quite worried as she said,” I was worried. It was quite confusing for me to understand the tone of Mok Dan in the early stages of shooting because at that time I was so into my previous character Kkotnim”. Although many people called her cinderella now as she nabs the leading lady for such a prestigious drama, Jin Se Yun never dreamed to be an actress. She was known as ‘Yoona from Jamwon’ during highschool, she would attend events pretended to be the famous Yoona of SNSD and she then received many love calls from entertainment agency. Jin Se Yun said ,” There were several times when I had opportunities to be a singer, but an actress never crossed my mind. I luckily was chosen as a model for commercials. I was happy when the commercials were aired on TV and printed in newspapers. When I was shooting commercials, many people suggested me to try acting. I thought at that time that acting was boring because all I have to do is memorizing the lines. But when I finally took acting lessons, I started to enjoy it”. Jin Se Yun’s early acting jobs were small roles in SBS’ drama It’s Okay Daddy’s Girl and movie White : Curse of Melody. And she said that she learnt many things for that experience. Her next job was MBC’s drama The Duo which strengthened her acting foundation. Jin Se Yun finally took her first leading role in daily drama My Daughter Kkotnim and the drama allowed her to experience a lot of joy. She said ,” I loved meeting new people and observed other cast’s acting. The fun of the job is that we work together”. In the end of the interview, Jin Se Yun said ,” While I was acting, I feel that my job is to be an actress. I came out of nowhere and got the lead role. There’s a lot of opportunity for people to dislike me but all the drama’s staffs, actors and acting teachers approached me with love. 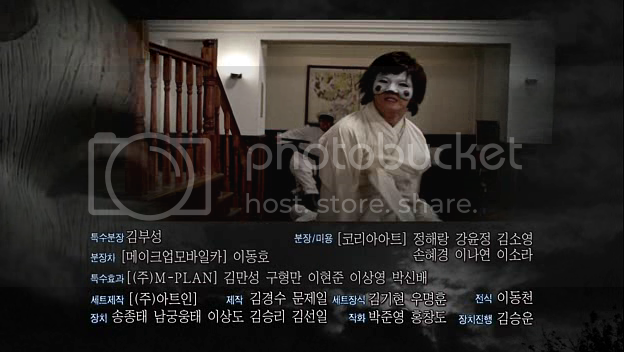 I want to show the audience a different side of Kkotnim through Bridal Mask. It would be my goal to deliver a matured actress”. i love the main couple already (Kang to - mok dan). the romance is minimal in this drama. but somehow im really looking forward to more interactions between them. i have to admit that this drama is getting better and better on ep 3 and 4...briliant acting and story. i really can't wait for ep 5.fpr me..phantom wins on the 1st and 2nd round.but gaksital beat it on the 3rd and 4th round. @Starlitelet: I also think JSY is pretty and natural so I can't understand when some people says that she's ugly/not pretty enough.. (on other forums/discussions). Oh well, people's taste is different. Honestly, i came to like JSY from "My daughter is flower", i didn't even notice her before that even though I watched "It's okay, daddy's girl" but some people have noted that she does look a bit like MCW. I think she's improving constantly, this girl has potential. 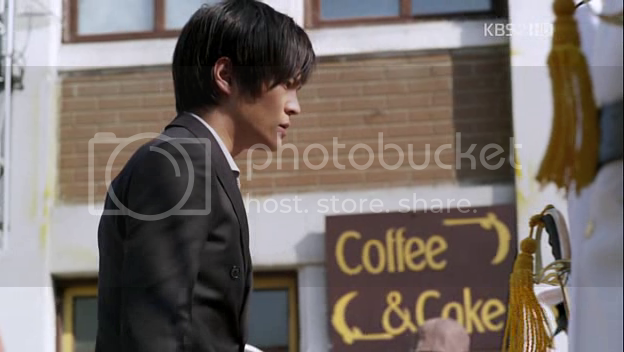 "Ojakgyo brothers" was the first drama I saw by JW, i heard about Baker King but that drama's storyline didn't attract me so I didn't watch it despite loving the cast. I feel that when he was in OB, he was cute and pretty attractive but in this drama, his hotness just increased by so many levels. 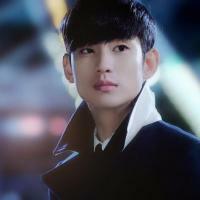 Maybe because I'm such a masochists that I'm in love with attractive bad guys (he kinda remind me of JSW from Giant), both are charismatic. This is my first time seeing Han Chae Ah, she's pretty and charismatic as Hong Joo so I can understand why some people ship her and Kangto, because they're all conflicted characters with bad past that made them hate Joseon. But I feel that opposite attracts and I've seen more Mok Dan than HJ so I'm firm with my ship - KT and MD atw.. I'm hoping that the drama give them better ending even though I feel like everyone is heading towards doom in this drama because of the time setting, it's a horrible time with japanese occupation. Hopefully, the drama will prove my guess wrong. OMG if so, then imagine MD being all happy and adoring Gaksital aka Kangto, Kangto will be so touched He will be sad yet happy. Oh man I ship these two so hard.I have never seen such a compatible couple. They are so made for each. Their chemistry onscreen, even when they glare at each other, its so hot, and so sizzling, It keeps me astonished. Cant wait for wednesday to come.